In this review we prove that Easy Money Bot (Win 500 A Day) is a scam that will lose your money. Although Easy Money Bot is about winning money on the online roulette, it has something in common with binary options, this is why we review it. More on that later. Easy Money Bot allegedly can make you money playing online, the title promises more than 100 euros in less than a minute. And you can get it for free and make money for free. Really? Easy Money Bot or Win 500 A Day is of course just a scam that will take your money and lose it. You should realize that the only way for casinos to make money is when players lose. It is not trading, it is pure gambling, that’s how it works. So it is absolutely foolish to expect that a software can win over a casino, because casinos are designed to make you lose, it’s how they earn money. Here comes the proof that Easy Money Bot is a scam, at the same time it is the connection with binary options that we mentioned earlier. Easy Money Bot is based on the White Label Robot, which is a scam app with a fake demo. 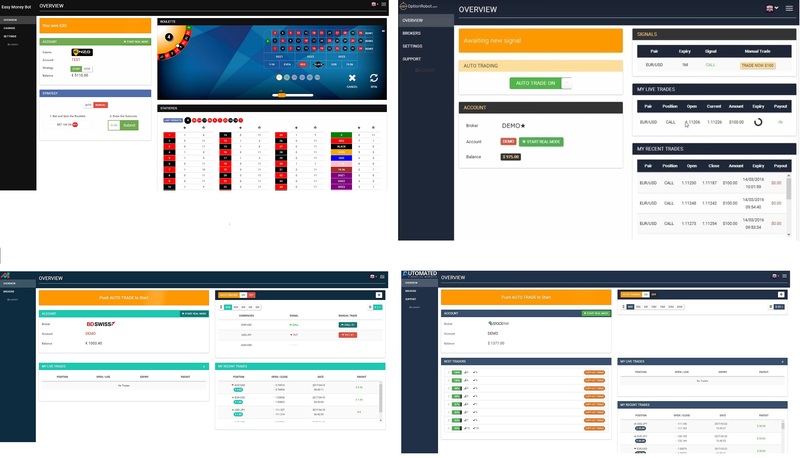 We have seen dozens of binary options scams based on this same software, look at the picture to see examples, like Option Robot, Easy Autotrading and Automated Financial Markets. 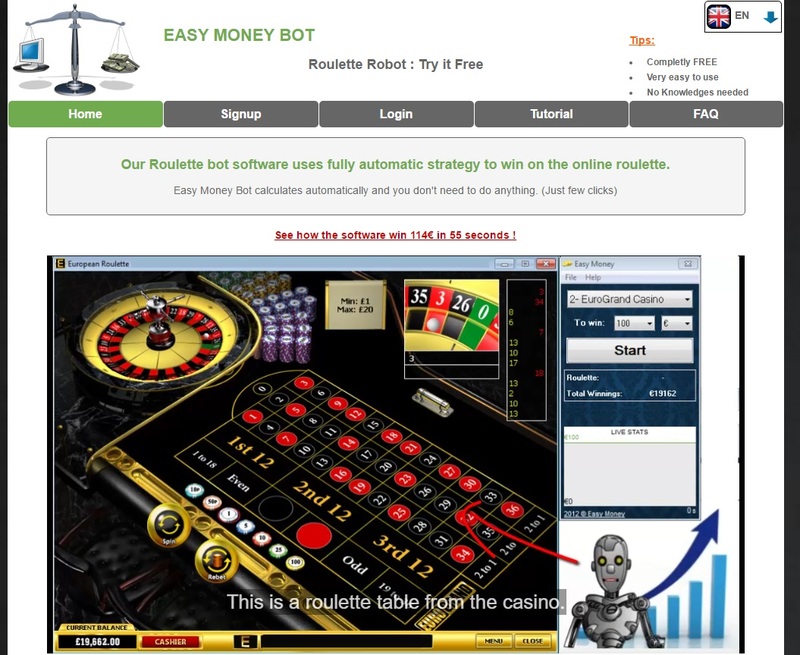 With binary options this software misleads people with a demo that generates fake profits, meanwhile Easy Money Bot does the same with a roulette, it generates fake profits that would not happen in real playing. So what is the real purpose of Easy Money Bot? To make you sign up and deposit money with an affiliated casino, because it will earn a commission to people who run this bot. If you do it, you can be sure that Easy Money Bot will then lose your money in playing. Easy Money Bot is a scam based on a known losing binary options software. Stay away from it! Don’t gamble, you cannot win. You can make real money in trading financial markets with tools like binary options that are easy to understand. Try a free demo to see for yourself. And don’t trade with real money until you are able to trade with consistent profits on the demo.